The Headquarters of Tau Beta Pi are located on the campus of The University of Tennessee, and have been there since R. C. Matthews moved to the university in 1907. R. C. Matthews served as Tau Beta Pi's Secretary from 1905 to 1912 and as from 1912 until his retirement in 1947. Before he assumed office in 1905 the Headquarters offices had been moved to wherever the offices of the Secretary were located. 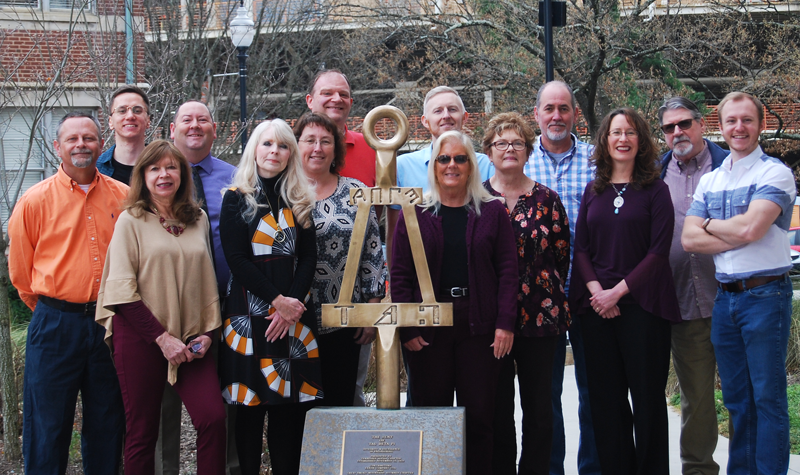 Professor Matthews' long service to Tau Beta Pi and the University of Tennessee has made the university the permanent Headquarters of the Association. In 1963, the Headquarters staff moved into a suite of offices designed specifically for Tau Beta Pi in the then-new Nathan W. Dougherty Engineering Building. Sherry Jennings-King, & Christian Cross.